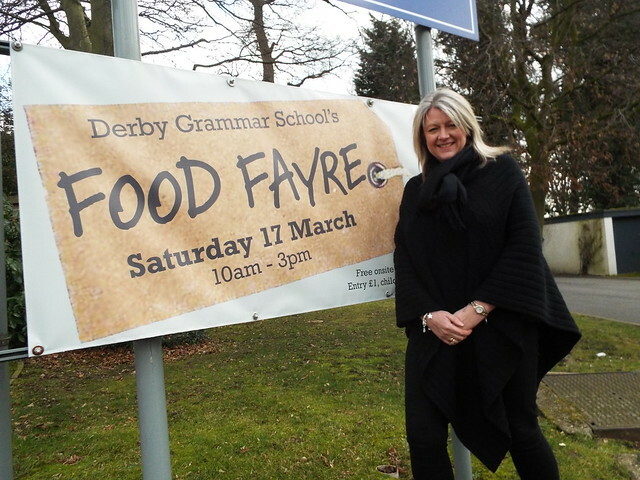 The weather may have been a little inclement last Saturday, but this didn’t stop the crowds descending on Derby Grammar School for the annual Food Fayre and Open Day. With over 25 stallholders present, Food Fayre visitors were treated to mouth-watering smells and delicious delights from sumptuous brownies and truffles to mead, gin and local ale. Choirs entertained us with superb singing, and A Level student Matt performed at the piano throughout the day. Ben Peverall, Head Chef at The Cow, Dalbury Lees, gave two excellent cookery demonstrations, preparing a ham hock scotch egg and a rhubarb fool – both of which are firm favourites on the menu at The Cow. And the options for lunch included paella from Tapitas, hog roast from Oakfield Farm or crepes from I Love Crepes. As part of the Food Fayre pupils from Junior and Senior School were invited to submit their entries for the Cake-Off. Judged by Ben Peverall, and Caroline Euston, Chair of the PTA, the winners were Danny in Junior School and Austin in Senior School. Caroline said: “Despite the cold weather we have had a fantastic day. I must thank all of our visitors for coming along and supporting us, the atmosphere in the Hall is so positive. We raised £1200, all of which goes back in to the School, funding projects proposed by the pupils. Derby Grammar School’s next Open Day is on June 14.